Curl is a utility that can be used to do network-related tasks. It stands for Client URL. Curl can be used with any programming language and work with a variety of protocols, including HTTP, HTTPS, FTP, FTPS, TELNET and FILE. 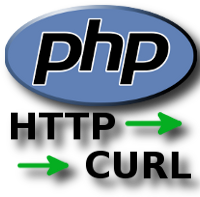 You can use it to access Websites, Upload files on FTP server,create proxy application, Content scrapers ,Link Checkers,search Engines ,and so on .PHP also supports libcurl, a cURL library that allows you to develop php application. You might want to access a protected page which has Apache HTTP Authentication . Below is the code how you can achieve this with curl . //Tunnel through a given HTTP proxy.